Save SAR 49 (98%) – Earn 0 Shukrans What is Shukran? Shukran is the Landmark Group’s award-winning loyalty programme in the Middle East, which allows you to earn Shukrans when you shop any of our brands. 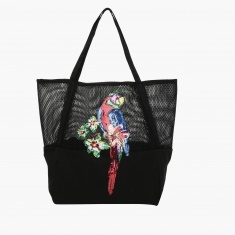 Durable and attractive, this tote bag is just what you need to carry your essentials. 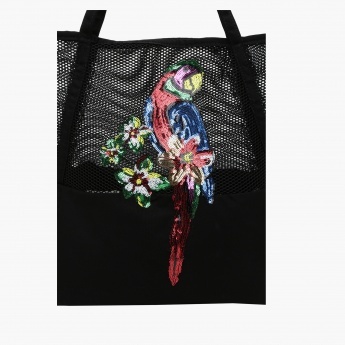 Featuring a sequin design, it sports a parrot that looks appealing. 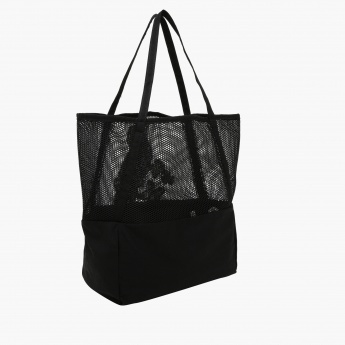 The mesh material makes the tote see-through.